Don't have time to drive or walk for days hoping to find the game of your choice? Do you have dogs needing to be tuned up before season? Do you want to have a good time with client, friends or a novice hunter? Do you just want to spend the day in the country enjoying the outdoors? 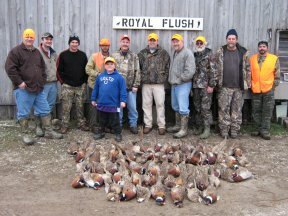 All these reasons offer a good opportunity for you on a Royal Flush upland hunt. 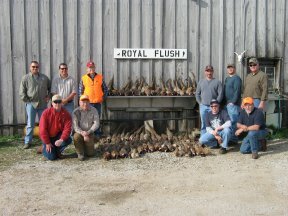 There are several one-half day packages that you can chose or we can customize a full day of hunting for you and your group. You will be hunting the gamebird(s) of your choice over a variety of cover and terrain. There are spacious fields of sorghum, native grass, CRP and stubble from crops to provide you with an incredible hunt. Guide service can be provided for those who do not have dogs. Besides hunting over qualified dogs your game will be processed and packaged for you when you return to the lodge. 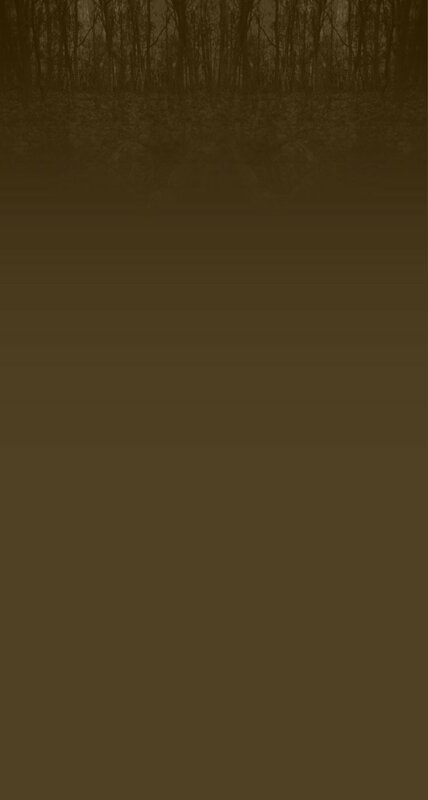 The sound of a covey rise or a cackling pheasant along with the work of the dogs will always be remembered...sometimes addictive!